Sustainable investing is the new black: essential, ubiquitous and a subject of forward-looking discussion. But this is no passing fashion. What was once a niche investment approach is becoming mainstream, and WRI is learning the nitty-gritty of it through its own endowment journey. World Resources Institute is fortunate to have a $40 million endowment that provides a modest, consistent source of annual unrestricted funding for our efforts to move society to live in ways that protect Earth's environment and its capacity to provide for the needs and aspirations of current and future generations. But for most of our 36-year history, we invested those funds with limited consideration of factors beyond maximizing financial return. This all changed in 2014 when the WRI board committed to align our investments with our vision for a sustainable future. Since then, we have set out to systematically integrate sustainability across our entire endowment portfolio as part of our long-term investment strategy. While the initial impetus was a desire to make our investments conform with our mission, another factor soon shaped our course: the business case for sustainability. WRI had long recognized that sustainability has a material impact on business profitability and that companies that actively manage their sustainability performance are best positioned to survive — and thrive — in a resource-constrained world. This understanding shaped the allocation of our own assets. The business case for sustainability has informed a substantial shift in how we manage our endowment capital. Our performance results thus far—close to our benchmark, but with lower risk—indicate that it has been a prudent shift. In the words of David Blood, a sustainable investing pioneer who joined WRI's board in 2016, "Sustainable investing is not only the right thing to do, but it is actually a smarter investment approach." "Many global institutions have talked about full alignment between their investments and sustainability over the decades, but few have done so. The fact that WRI set out to accomplish this, and has made considerable progress, is a landmark for itself and others," notes WRI board member Afsaneh Beschloss. While we have made substantial headway implementing our sustainable investment strategy over the last four years, there have been challenges and we are by no means done. But with the consistent engagement of WRI's board and executive team, research support from our Sustainable Finance Center and a strong partnership with our Outsourced Chief Investment Officer (OCIO), we have found some creative solutions where the market has yet to respond to new demands. This experience has provided a great opportunity to go beyond our research role, to learn by doing. And we have already learned many valuable and practical lessons. While our story is far from over, the initial chapters are ripe for telling. To tell this story, we have reconstructed our journey with the benefit of hindsight. We have reviewed key internal documents and meeting minutes, revisited the major debates and points of conflict, and collected direct insights from key players through a series of interviews (see sidebar for a list of participants). Our story covers key milestones, roadblocks and lessons learned thus far, with an eye toward next steps. Our story is part of a larger movement toward sustainable investing. We have seen a growing recognition in the investment community that as the world around us changes—2017 was a year of record-breaking climate events—so must our approach to investment. Andrew Steer, President and CEO of WRI, points out, "Our approach should not be viewed as simply one of mission alignment — it is about something much more fundamental that should resonate with all types of asset owners. It's about the need to take advantage of what's becoming increasingly clear: if you want good returns on your investments, you need to consider the risks from the natural world and the new opportunities from sustainable development." Not long ago, sustainability and capital market investments were not often used in the same sentence. With the notable exception of the most virtuous of faith-based organizations and a handful of pioneering foundations, institutional investors have long had an exclusive commitment to traditional financial analysis in managing investments. For most endowed mission-driven organizations, it was the norm to overlook the relationship between investments and sustainability issues, including the very issues their programmatic work aimed to solve. It was only in the last decade or so that the idea of sustainability started to penetrate this sphere. Increasingly, investors acknowledged that the economy is closely connected to social and environmental realities. They realized that ignoring this link would be a liability. As a research organization focused on solving the world's most pressing sustainability challenges, WRI was part of these discussions. Our executive leadership and the experts on our staff were becoming increasingly concerned that our investments did not reflect our research findings. About ten years ago, the issue became a recurring discussion topic among the Institute's board, but there was not much action. Back then, WRI's inquiries on sustainable investing to its financial advisors were met with suspicion and opposition. They believed that limiting the opportunity set would limit returns. Most finance and investment committees of environmental organizations shared this view. On top of this resistance, there were simply not many sustainability-oriented investment products on the market. 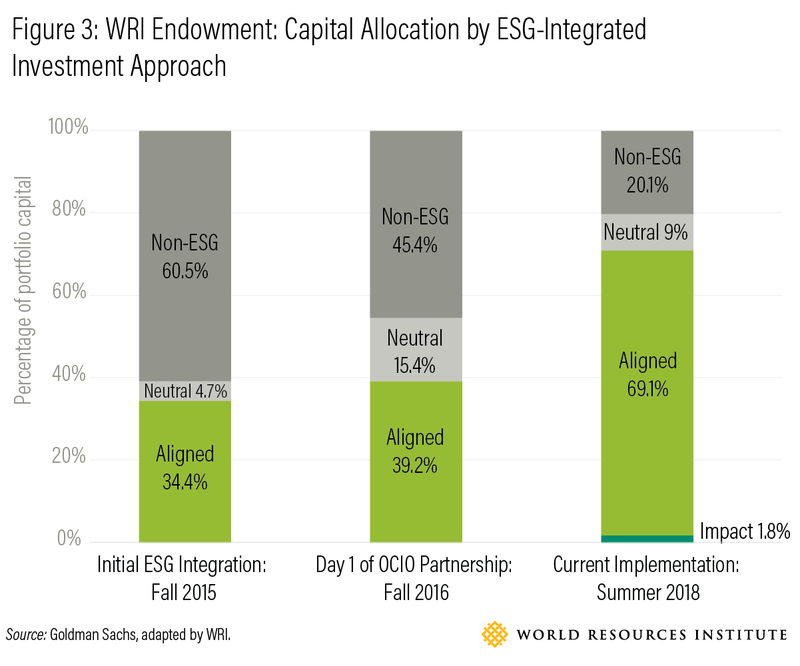 Despite continued attempts over the years, WRI's progress on the endowment was sluggish. The barriers were too real and too large to confront the issue head on. But in 2013, this began to change. That year, the fossil fuel divestment movement was gaining momentum across U.S. college and university campuses. Driven by student campaigns and activist groups like 350.org and Divest-Invest, the movement demanded that educational institutions to divest endowment holdings from the top 250 fossil fuel companies. To profit from the destruction of the planet, they argued, was not only inconsistent with these institutions' mission, but morally wrong. By 2014, 181 institutions — representing not only universities, also but faith-based institutions, philanthropies, NGOs, local governments and healthcare providers — had taken the pledge to divest. In concert with this momentum, a number of market drivers caught investors' attention. Investors saw the slow emergence of a more supportive policy and regulatory framework for sustainable investing. Notable developments included interpretive guidance from the Securities and Exchange Commission (SEC) outlining corporate obligations for climate-relevant disclosure, and the wave of efforts towards reaching the landmark Paris Agreement on climate change, which would carry broad implications for the trajectory of the global economy. With these strong signals, increasing numbers of mission-oriented asset owners began contemplating the impact of their capital on the world, and the risks their assets faced from various sustainability issues. Many turned to sustainable investing to better align their assets with institutional values, and to mitigate for sustainability-related risks to the portfolio. Seeing the new demand, asset managers, investment consultants and data providers, started to cater to the growing interest in sustainability. The field of sustainable investing was emerging from the niche it had occupied for the previous four decades. "It was that agitation," recounts former trustee Jeff Miller, who had long served as chair of WRI's Finance and Investment Committee, "that helped us overcome inertia." Against this backdrop, WRI's ambition to align its endowment with its sustainability mission finally had the opening it needed. Following renewed interest among several members of the board and staff, the question of sustainable investing soon captured the attention of the WRI board and executive leadership. Given the Institute's robust understanding of sustainability risks and its commitment to science-based decision-making, it was clear that WRI needed to apply its institutional strength to the conversation. In early 2014, WRI's board committed to addressing the questions of sustainable investing. "We had awakened to the realization of what we know so well today: we ought to focus more seriously on how to change our investment strategy toward mission alignment. From the point of view of the endowment, that would be the most important decision over the last 20 years," recalls board Chair Jim Harmon, a 20-year veteran of WRI's board. But how should the Institute interpret sustainable investing? Was fossil fuel divestment the answer? How would fiduciary duty come into play? And how could WRI leverage its strength in sustainability research to advance the field of sustainable investing? These questions came with no simple answers. Working through them and coming to broad agreement on a suitable approach would be one of the biggest challenges in the journey. It was impractical for the more than 30 members of the WRI board to spend the time to make sense of the potential investment strategies. To facilitate efficient decision-making, the board formed a Special Committee on Sustainable Investing, known simply as the Committee. Comprised of members of the Finance and Investment Committee (F&IC), five additional board members, CEO Steer, CFO Steve Barker and several staff members, the Committee was tasked with discussing the topic and identifying an appropriate action plan to present to the full board. The Committee systematically considered various options through months of well-researched debate. "WRI had a fabulous process for this," recalls WRI board member Beschloss. "Initially, there were many different views held by members, so we started the process being very open to different ways of looking at sustainable investing." The debate around fiduciary duty was an early sticking point. Some Committee members had the visceral reaction that sustainable investing represented a breach in fiduciary duty. But the once-common assumption that sustainable investing might cost returns was beginning to erode. New studies showed that sustainable investing practices usually matched and often outperformed comparable traditional investments. The Committee's perspective was not only shaped by this growing body of evidence, but also by more direct insights from the experience of WRI board member Blood, even before he joined the board in 2016. Blood co-founded the sustainable investment firm Generation Investment Management with six others, including former Vice President (and WRI board member) Al Gore, in 2004. The group recognized sustainability as key to creating value and sought to prove the business case for sustainable investing. "Sustainability," Blood explains, "is the driver of our current and future global economy, and therefore informs our investment philosophy and process as long-term investors. We believe that sustainability and ESG (environmental, social and governance criteria), as organizing frameworks, lead to important and additional insights into the quality of business and management. And ultimately, this leads to superior risk-adjusted returns." Their success in this approach has been compelling. As reported in the Atlantic and later highlighted in a Stanford Graduate School of Business case study, by 2015, Generation's flagship public equity fund had outperformed its benchmark index by approximately 500 basis points per year over the previous decade. On top of the growing body of encouraging evidence, the Committee recognized the limitations of the traditional investment approach, particularly its failure to account for the growing sustainability risks. The metric that they had long used for market volatility (standard deviation), for example, was backward looking and blind to future risks. "An ESG approach" explains Barker, "would allow us to look ahead through the windshield to gauge potential risks, rather than steering through the rearview mirror." The Committee ultimately acknowledged that this discussion was about expanding the range of information used in decision-making to enhance investment analysis. This underpinned their genuine belief that, if they did this thoughtfully, they would not be taking on incremental risk inconsistent with fiduciary duty, but might actually mitigate negative risk and enhance returns over time. "There was still a lot to learn and great uncertainty," recalls Daniel Weiss, a WRI board member, "but I sensed a degree of optimism about achieving attractive risk-adjusted investment outcomes by moving in this direction." The fossil fuel divestment question was harder to unpack. While some Committee members did not view it as the best approach for WRI, there were others who were passionately in favor. The discussion turned to the theory of change behind divestment. The Committee acknowledged that transitioning to a sustainable economy would require a complex solution for capital deployment. Members agreed that focusing exclusively on a single issue in a single sector was too simplistic to foster that transition. Further, a single-issue focus would not by itself drive capital toward much-needed solutions for renewable energy, climate adaptation, sustainable land management and sustainable job growth. "In shifting away from a carbon intensive portfolio," Weiss explains, "it's not enough to take oil and gas out, and call it a day. There was a clear consensus that just divesting and declaring victory was not the thoughtful, analytical or pro-engagement approach that characterized WRI's activities." With a similar sentiment, Miller notes, "Making a blacklist of companies based on a simple screen is antithetical to everything that WRI does. Investing cannot be reduced to one dimension — yes or no. This is not prudent investing nor is it creating incentives for change." In addition to conceptual concerns with the approach, there were also logistical ones. WRI's capital was invested in broad market funds, rather than in individual stocks, bonds or separately managed accounts. In this context, divesting from specific companies across the entire portfolio would be a challenge. 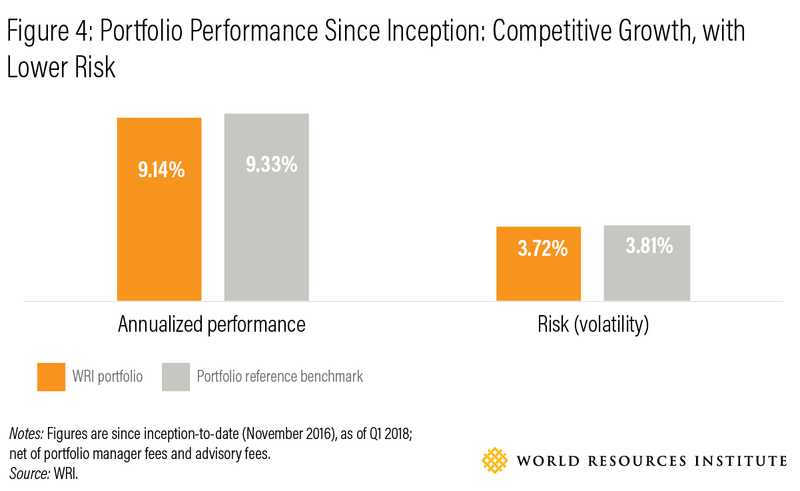 The fund-based approach was used to build a portfolio that meets certain risk-return, liquidity and expense criteria for the endowment, an exercise that would quickly become unwieldy if WRI were to switch to investing in individual securities. A divestment strategy was looking less and less like the solution. To further inform the conversations, committee members spoke with thought leaders in the space to gauge the market. WRI CFO Barker set out to survey WRI's peers. These conversations revealed that there were as many responses to the divestment and mission alignment calls as there were organizations. While many of these institutions were asking a lot of the same questions, they were not talking to each other to share best practices. Each institution was devising a unique approach tailored to their specific needs. It was a painstaking process. Recognizing that many asset owners lack the resources to thoughtfully engage in this task, the Committee decided that WRI's effort should lead to a scalable market solution with broad application. "We needed a sustainable investing approach for the prudent person," recalls Barker. Weiss expands on this idea: "We wanted to be thoughtful about how we construct a portfolio and to utilize our capital — both financial and intellectual — to make an impact, to contribute to the conversation about sustainable investing and to help others engage." The conversation thus moved past a narrow focus on divestment, as to fit with WRI's broader mission and appeal to a wider set of investors. The Committee agreed that a holistic approach would need to consider many aspects of sustainability in a proactive manner. This meant going beyond just considering environmental issues, to incorporate social and governance ones as well. This was also the most practical approach from an investment perspective, as these issues have financial implications on long-term assets and returns. The Committee proposed revising the Investment Policy Statement (IPS) around prioritizing ESG issues. The investment objectives would require that all investment decisions — including asset allocation, manager selection and monitoring — incorporate consideration for sustainability performance, informed by clear ESG metrics. The Committee tasked the F&I Committee with identifying appropriate ESG criteria for implementing the strategy and recommending an ESG data provider. In August 2014, WRI's board passed a mandate accepting the new sustainability strategy for the endowment. It also committed the institution to taking active steps to advance sustainable investing in the broader market. With a mandate in place, the F&I Committee's next task was to translate the goals into a decision-making framework. The fact that the board's mandate was broad was both a blessing and a curse. On the one hand, it gave the F&I Committee and staff freedom to innovate. On the other hand, it came with the difficult task of identifying priorities. Many questions remained. How would WRI define sustainability performance to benchmark its goals? Which ESG issues should be prioritized? How should they be measured? What about potential trade-offs? What would success look like? WRI was by no means the first organization to confront these questions. A number of mission-driven asset owners had started to blaze a trail already. However, there was no detailed roadmap; existing guidance did not answer the granular questions of implementation. Neither did our investment advisor have the answers. The F&I Committee, therefore, had to "learn by doing". Fortunately, finance experts within WRI were also keen to provide additional research support to help inform our approach—a unique advantage that we have as a research organization. Together, they formed a team. The first step was to include sustainable investing as a recurring agenda item for each F&I Committee meetings. This helped ensure sustainability would be part of central operations and decision-making, keeping it at the front of members' minds. To make further progress, the F&I Committee needed to understand the investments from a sustainability perspective. Since our advisor did not have access to the necessary data, WRI subscribed to an ESG data provider. After evaluating multiple third-party data providers, WRI chose MSCI ESG data. With access to MSCI data, the F&I Committee and several WRI finance experts explored the sustainability performance of the equities portfolio. This was deemed a good starting point as the asset class was associated with the greatest data and product availability. But being the easiest asset class, did not mean the task would be easy. While useful, the MSCI data did not immediately reveal a clear path for decision-making. The platform provided an enormous amount of data spanning 37 key issues across 10 themes. But which to choose? There was no industry consensus on the materiality of specific ESG factors or which had the most impact on the real economy. The Sustainable Accounting Standards Board (SASB) had been making great strides on this front, especially in recent years. But it was still difficult to know which data points to prioritize to inform decisions. The team also considered using WRI's program structure to focus on ESG factors in the key areas where we work — food, forests, water, climate, energy and cities — but this alone did little to help narrow our focus on a manageable set of factors. There was also uncertainty around data types. The platform included raw data points, key performance indicators, thematic scores, and portfolio-level scores, each with a complex and unknown methodology. The team struggled with known biases in how the information was reported, both for available and missing data points. Many of the data points served as a simple check-box for whether a company had a certain policy or disclosed certain information. Most metrics failed to offer a nuanced assessment of the company's actual performance or the impact of its operations. The methodologies in the scoring and ranking further complicated the assessment. For example, when MSCI conducted an environmental audit on the existing portfolio, the analysis showed Exxon Mobil as having a better environmental ranking than Berkshire Hathaway. The rankings were sector-specific and benchmarked against a peer cohort. Accordingly, they did not represent an absolute measure of environmental impact, which would have been much more meaningful for WRI. It was hard to make sense of which data points were most valid. Further, coverage was inconsistent, largely because company disclosure is inconsistent. The data did not cover the entire portfolio, and were especially limited for certain regions and sectors. This is all to say that data interpretation was not easy. The lack of high-quality, consistent, interpretable, and reliable data to evaluate the various ESG dimensions of a portfolio, would be one of the greatest challenges in the broader journey. The available third-party data needed to be contextualized through additional due diligence for a more meaningful assessment of a company's sustainability performance. Even if it had been clear how to best evaluate companies along ESG factors, acting on the data would be a convoluted endeavor. The portfolio was diverse and complex, with holdings in funds comprised of thousands of companies. WRI could not simply sell off securities that failed to meet certain sustainability criteria. The transition would require changing holdings at the fund level. Ultimately, to select new funds for the new listed equities allocations in the summer of 2015, our financial advisor shortlisted a few options and WRI used a combination of financial metrics, qualitative assessment of fund managers' ESG capacity, portfolio-level ESG scores and a set of MSCI indicators aligned with areas deemed most pressing by WRI (carbon emissions, climate change mitigation, energy efficiency, water stress, water intensity, land use and biodiversity). Collectively, this information provided a decent measure of which option best balanced sustainability performance and risk-adjusted returns. By October 2015, WRI had reinvested our listed equities, representing 35 percent of our endowment. The substantial challenges that the team experienced on its journey to this point helped spur the creation of a dedicated research initiative. With funding from the Ford Foundation, WRI officially launched the Sustainable Investing Initiative in October 2015. The aim was to build on the Institute's research strengths, and draw lessons from the work on our endowment, to develop new resources and tools that would empower other asset owners to adopt sustainable investing practices. Soon after, the F&I Committee also decided to eliminate exposure to hedge funds in its asset allocation. Given the opaque ownership structure of the fund type, it was especially difficult to evaluate the sustainability performance of these investments. Since the decision was taken, WRI has been eliminating positions in hedge funds as fast as we can cash out according to the terms of those investments. Notably, though, WRI's new portfolio was far from perfect. Elizabeth Lewis, former Head of Sustainable Investing at WRI, (see Box 1), explains, "WRI had to approach this opportunistically and not be too rigid. The alternative to finding the perfect solution was to keep money in investments that are not sustainable." Further, this was not a strategy that could be easily replicated by asset owners that did not have dedicated research staff, or for more difficult asset classes where transparency into holdings were harder to come by. "The fact that an organization with so many sophisticated experts struggled to find the answers highlights how difficult this endeavor is," notes John Hahn, Vice President at Goldman Sachs. "There are no cookie cutter solutions out there. There is still a lot of work to do." After struggling with this transition, it was clear that this journey was bigger than simply inserting sustainability as an agenda item and running some ESG portfolio analytics. Even before this transition began, it had been a challenge for WRI to effectively manage and oversee its assets in-house. Decision-making had relied on volunteer board members on the F&I Committee, who would meet on a quarterly basis to review the portfolio with the help of our financial advisor. Their specific roles and responsibilities, though, were muddled as they were shared among many people. This existing investment governance model was a barrier to successfully integrating sustainability into the portfolio. Given the complex investment structure, which was highly illiquid, WRI needed new expertise and more methodical oversight. The latest research suggested that best practice for a smaller endowment like WRI's was to delegate an Outsourced Chief Investment Officer (OCIO) to manage investment responsibilities under mutually agreed upon terms. An OCIO partnership would bring in a dedicated and accountable staff to facilitate a more nimble and strategic investment operation. Unlike under an advisory arrangement, the OCIO partner would implement investment decisions according to the priorities set by the board. "The job of the investment committee," Barker explains, "would become simply setting the parameters — the objectives, policy, asset allocation — and then letting the OCIO execute within those. We would change the whole management paradigm." The transition to an OCIO would offer benefits beyond those related to WRI's own capital. Working with the right OCIO partner would help WRI—and its Sustainable Investing Initiative specifically—reach a larger pool of asset owners with interest in sustainable investing. Through this partnership, the institute would have the opportunity to scale sustainable investing resources and frameworks within the market. In the summer of 2016 the F&I Committee and Sustainable Investing Initiative staff began a robust search process to identify the right partner. After studying the market of providers, they selected seven firms to participate in an initial phone screening. From that group, three firms were shortlisted to submit a full proposal, in response to a comprehensive and tailored Request for Proposal. The F&I Committee and staff evaluated the submissions according to a set of criteria on the firm's ability to meet WRI's needs. They paid specific attention to the firm's experience designing and implementing sustainable investment portfolios; their willingness to collaborate with WRI to develop sustainable investment frameworks for broad market adoption; and their inclination to integrate WRI research and data on key ESG factors into the investor marketplace; and the value of the services relative to the fees. After the evaluation process, Goldman Sachs, with its recently acquired Imprint Capital Advisors team, was deemed best suited for a strategic partnership. Imprint Capital was a dedicated ESG and impact investing investment advisor with nearly 10 years of experience creating, building and managing ESG and impact investment portfolios for large institutional clients. Their capacity to build a custom ESG and impact portfolio, now backed by the institutional might and full-service offerings of Goldman Sachs, was very appealing to WRI. The partnership was an equally exciting opportunity for the Imprint group, now part of Goldman's investment platform. "We were really excited to see WRI take the next step in this journey," recounts John Goldstein, co-founder of Imprint Capital and Managing Director at Goldman Sachs. "There was so much enthusiasm and excitement about ESG and impact investing, but seeing an organization roll up its sleeves and figure out how to manage the whole portfolio in this way was really exciting. There is far too little of this happening across an entire portfolio." WRI had made a lot of progress before cementing its OCIO partnership in October 2016, but there was still a lot to be done and the team was eager to accelerate the pace of progress. In partnership with our OCIO, WRI set forth the goal of integrating ESG considerations across its entire endowment portfolio. Ultimately, the goal is for all of the institution's capital to be deployed to sustainable investments (or neutral investments, in the case of Inflation-Indexed Treasuries). At the same time, our goal is also not to sacrifice returns, as we want to demonstrate that a sustainable investing approach can help asset owners maintain and grow their financial resources. 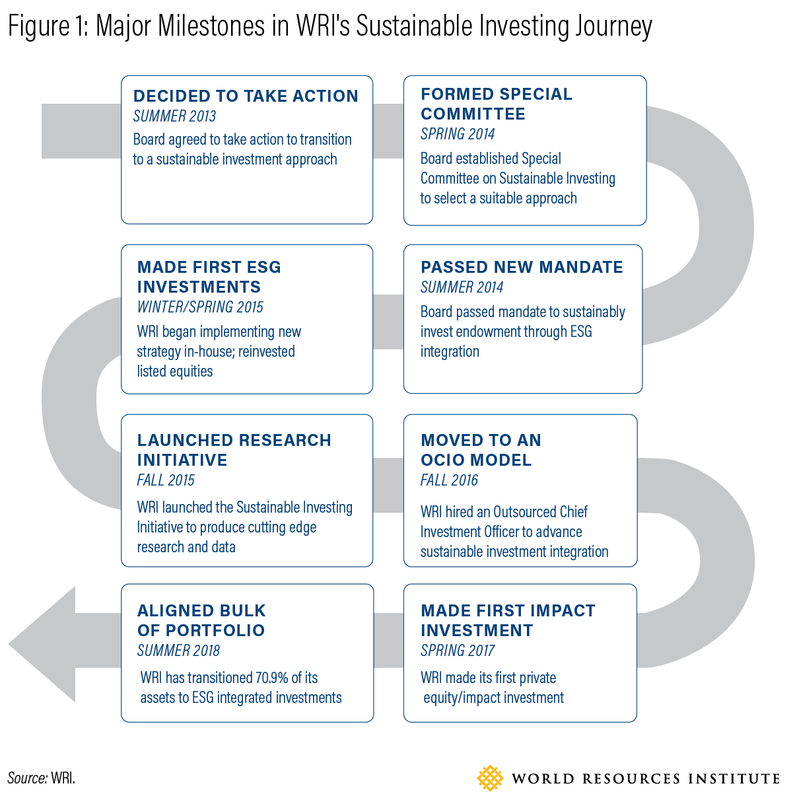 By June 2018, a year and a half into our new approach, WRI has achieved a number of key milestones, as outlined in Figure 2. WRI is a long-term investor and understands that sustainability risks and opportunities are material and directly impact business profitability over the long-term. WRI believes that companies that proactively manage their ESG performance are best positioned to survive – and thrive – in a resource-constrained world. Given these beliefs, WRI aims to invest its Portfolio in a prudent manner that achieves a market return while incorporating ESG factors, both risks and opportunities. WRI hopes that this approach will help maintain – and, over time, grow – the institution’s financial resources, which provide critical support to carry out WRI’s mission. WRI is also committed to using WRI’s investment experience, data, research, and convening power to advance sustainable investing in the mainstream investor marketplace. In allocating WRI's capital, our OCIO follows a three-part framework to structure the portfolio around sustainability risks, while optimizing opportunities of a changing world (shown in Box 3). Prioritize companies with best-in-class sustainability performance: To minimize exposure to various climate and sustainability risks, we include managers with a best-in-class environmental, social, and governance (ESG) tilt within our equities portfolio. This means we select managers that underweight companies with poor environmental records and over-weight companies that are helping to solve the world’s environmental problems. This allows us to achieve a broadly diversified portfolio while managing for potential downside risks. Process: formal incorporation of ESG factors into the investment process, with the objective of enhancing risk-adjusted returns. Team & Resources: presence and quality of dedicated team and resources for integrating ESG into the investment process. Engagement: record of active engagement with portfolio companies on ESG themes. Allocate capital to solutions: To capitalize on potential opportunities associated with climate change and other sustainability issues, WRI has designated 15 percent of our portfolio to a private equity ‘impact’ carve-out. These investments proactively target environmental and social solutions – including, for example, renewable energy development. Together, our OCIO's three-part framework for structuring the portfolio and the five-factor approach for analyzing external managers form the foundation of WRI's strategy to proactively integrate ESG across its endowment portfolio. The introduction of private equity (see Table 1) was a key change to WRI's asset allocation. Initially, the F&I Committee was cautious about investing in private equity transactions. The group was more comfortable focusing on the public markets where options with strong track records were easier to come by. But they also acknowledged that a private equity allocation came with certain advantages, allowing for greater mission alignment and creating a positive impact. The F&I Committee considered implementing a 15 percent impact carveout for which WRI would invest in early stage companies explicitly oriented towards sustainability solutions. But was this too much risk for a prudent endowment? 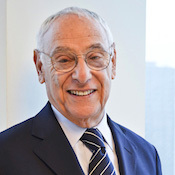 "Our general marching orders are to maintain market rate returns," explains Weiss. "At this point, we are willing to be a part of newer vehicles and approaches, including in areas such as renewables, but not in a way that sacrifices returns, or creates incremental risk in the portfolio." WRI's first private equity deployment was in a fund that invests in private companies that produce measurable environmental and social impacts. The fund targets companies across a range of investment themes, including resource efficiency, sustainable products, clean infrastructure, education, financial services and healthcare. Our most recent investment in the impact carveout is in a fund that finances distributed commercial and industrial solar installations in the United States. Goldstein points to these investments as a major milestone in WRI's journey. 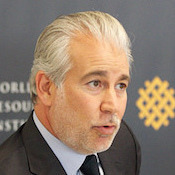 "The private impact investments had been missing in WRI's portfolio," he notes. "People spend lot of time on the public side but miss out on investing in the solutions. It's really exciting for WRI to be investing in this now." This allocation has become a key aspect of our holistic sustainability approach, complementing the ESG integration strategy. While progress implementing this approach has been substantial, we still have a lot to do. Today, we have 20 percent of our endowment portfolio in products that do not actively integrate ESG considerations (not counting "neutral" products, like US Treasury inflation-protected securities, that do not lend themselves to ESG integration; see Figure 3). This non-ESG segment of our portfolio includes high-yield fixed income, a currency hedged (non-U.S.) listed equities fund, and the last small portion of our hedge funds that we are exiting as quickly as the terms allow (about 1 percent of our total portfolio). Why would we still have anything in our portfolio that is not actively integrating ESG? For one, as we work toward our 15 percent target for our impact carveout, we are bearing in mind that prudent investing requires a measured pace. Because of this, we are taking a graduated approach to mitigate our exposure to risk (in terms of vintage years, business cycles, geographies and stage of business). So far, we have invested 1.8 percent of our 15 percent target, with the remaining balance distributed evenly across the rest of the portfolio. We will continue to commit to a diversified group of funds each year until we reach our target, and as we do so, the non-ESG portion of our portfolio should decrease. Secondly, we have confronted first-hand one of the challenges that we highlighted in our past research: high-quality, ESG-integrated, investment products are not widely available for all asset classes. There is a notable dearth, for example, of high-yield fixed income and hedge funds. As asset owners continue to demand sustainable hedge funds, the market is starting to respond and new hedge funds with ESG strategies are starting to pop up. While we are phasing out of our hedge funds as quickly as possible, we are hopeful that the same pattern will unfold with high-yield fixed income, and our OCIO is constantly looking for new high-yield fixed income opportunities that deploy ESG in their strategies. 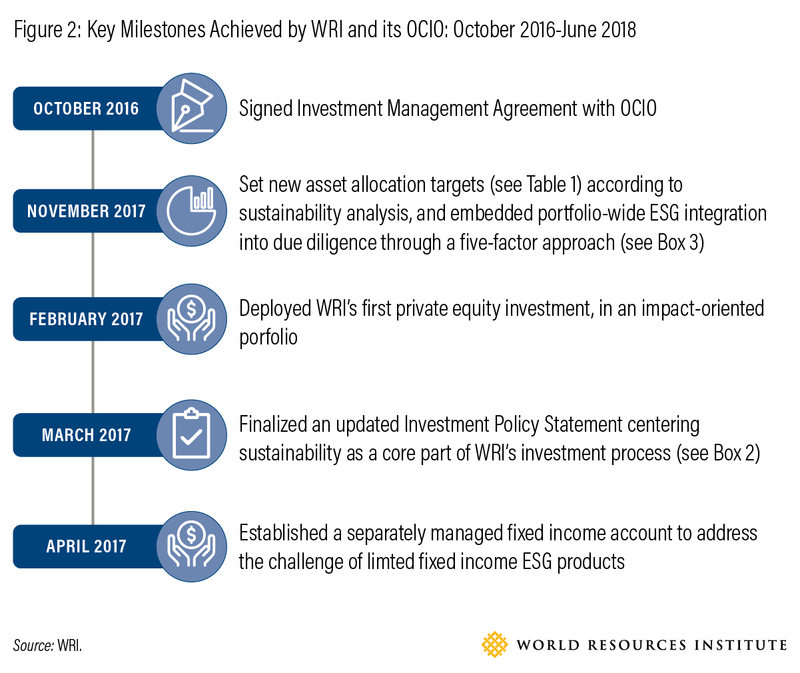 Even for investment grade fixed income, the options are still fairly limited, so WRI worked with our OCIO in 2018 to build a separately managed account that integrates ESG while meeting our other requirements for liquidity, duration and risk-adjusted returns. Completing this arrangement moved roughly 3-5 percent into what we consider aligned investments (those that actively integrate ESG considerations). While the managed account provided an elegant solution for the remaining non-ESG portion of our investment grade fixed income allocation, we are mindful that such an approach is not a silver bullet for our other fixed income product challenges. As we seek to maintain a diversified portfolio, we cannot place the entire allocation for any asset class into a single vehicle. Lastly, our OCIO has a mandate to earn market returns and control our investment costs while sustainably investing our endowment portfolio. Since most sustainability oriented funds have active management characteristics, and actively managed funds are generally associated with higher costs, sustainability funds tend to be more expensive on average than their traditional counterparts. As sustainability becomes more mainstreamed and we see more sustainability products with competitive costs, we expect to have more high-quality options to choose from that will allow us to reduce our exposure to non-ESG integrated investments. Note: For illustrative purposes only and should not be construed as investment advice. "Aligned" refers to products for which the manager is actively integrating ESG considerations, as determined by Goldman Sachs' five factor approach. "Non-ESG" describes products for which the manager is not proactively integrating ESG considerations, even though feasible for that type of product (e.g. fixed income, hedge funds). "Neutral" represents products that, by nature of the asset class, do not lend themselves to ESG integration (e.g. US Treasury inflation-protected securities). "Impact" refers to private equity investments that provide solutions to environmental and social challenges. WRI is making a concerted effort to build out a thoughtful and consistent approach to the impact portion of the portfolio to achieve its 15 percent target allocation for that asset class. While we are encouraged by the progress and prospects in aligning the portfolio, the F&I Committee also expects to set increasingly ambitious goal posts around the concepts of alignment and sustainability integration. As the ESG data advances and the market for sustainable investment products develops, WRI's sustainability analysis and assessment standards will continuously evolve. A year and a half after the transition to our OCIO partnership to implement our sustainable investment strategy, the financial results are encouraging (see Figure 4). Since inception, the performance of the new portfolio, net of fees, trails that of the portfolio reference benchmark by 0.19 percent. Moreover, these gains have been achieved with 0.09 percent lower risk (volatility) relative to the benchmark. We also track our Sharpe ratio—a measure of the portfolio's risk-adjusted performance—and it is tracking nearly identical to our benchmark. This shows that it is possible to do well by doing good. From the early conversations to today, WRI has taken many lessons from this continued endeavor. Drawing from this experience, the many players involved offer their candid reflections and advice for those interested in pursuing sustainable portfolio investing. The task of systematically integrating a wide range of material risks and opportunities into investment decisions for a large, complex pool of capital is not easy. Setting realistic expectations for progress can reduce some of the anxiety and stress. "Instrumental to WRI's achievement was an early appreciation for the complexity of the issue, paired with the board's willingness to confront the questions in a systematic and cordial way," remarks Miller. Expanding on this idea, Lewis notes, "Going into this with a great deal of humility played an important role in our success. We could have let perfect be the enemy of the good. But the board decided to pursue this journey in a very transparent way. They approached this with the understanding that we would try to do this as best as we could, but knowing that everything wouldn't work out perfectly right away." 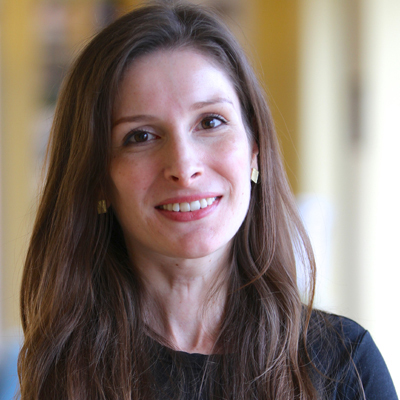 Megan Starr, vice president at Goldman Sachs and a member of the ESG and Impact Investing Client Strategy team, recommends, "Asset owners should find a thoughtful, actionable entry point to get started, and then learn from that. Avoid spending years debating and trying to map out what to do. Find an actionable entry point and then expand over time. That's a healthy way to get started." The task of integrating sustainability into the investment process was not easy. Even after taking the time to decide on an appropriate strategy, WRI found that there was a long way to go on implementation. There was a huge amount of learning required to translate the concept into a reality. But as Barker recalls, "It was pain and effort well spent." Echoing this sentiment, Miller notes, "This is the right thing to do, but it is not necessarily logistically easy. When you finally get to implementation, it's not a plug-and-play approach. There are knock-on effects in the portfolio; including asset allocation implications ... What began as one of the most painful things I've been involved in turned into something that was one of the most rewarding things I've been involved in." Starr adds, "ESG is not magic. But it is also not poison. It is entirely possible to build an institutional-grade portfolio that performs just as well as one that does not integrate ESG." The time is now to embrace sustainable investing. "The topic is not going away," notes Lewis. "One of the main reasons is that climate change is not going away. Every year, we see more ways that capital markets are materially impacted by climate change. Fiduciaries need to be thinking about this more than once a week. This can't be siloed off to the side, it needs to be integrated into all investment decisions." Indeed, as Starr attests, "We are never going to be able to say, we're done, and wash our hands." In a complex and changing world, there will always be more work to do towards improving our own endowment and facilitating sustainability integration in the broader market. While the board has been driving the process, it has not been a top-down, insulated directive. Rather, it has remained a collaborative process between the board, management and staff throughout. This has helped strengthen the process and encouraged knowledge-sharing across existing divides. "The fact that we worked in a collaborative way," recalls Beschloss, "even though people had different views and not everyone was on the same page, was a critical part of achieving our goals." Weiss echoes the sentiment. "There was great value in approaching this as a partnership between the team that is making this happen and the folks who are responsible for governance. This is something we've done really well at WRI, and I encourage other trustees to take a page from this book." Trustees all bring unique expertise to the table. Some have sophisticated knowledge of the investment world, while others do not. This can make decision-making challenging, but by no means impossible. "Important to WRI's success in getting 'unstuck,'" notes Barker, "was educating the board so they could approach the issue from a fully informed place. It is well worth the effort and time to do so." Miller recounts a similar experience. "We needed to go to school and do our homework. Many members had to learn how the endowment was invested, and about the challenges of introducing a mission-aligned approach. It was very eye-opening for those who weren't well steeped in these issues." He adds, "Going through that process together was transformative, and a very worthwhile journey." The learning should not stop now. As a new and evolving practice, no one has completely figured out sustainable investing. "Put aside your past experiences or what you've heard," advises Lewis. 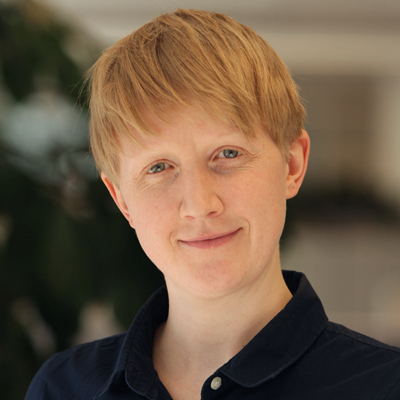 "The industry is changing and is hugely dynamic. Whatever story you read a year ago doesn't have bearing on the market today. Come with an open mind and a willingness to ask questions. If you are not getting credible, well-informed answers, ask different people." Many investors believe that sustainable investing comes with sacrificed returns. This is not necessarily the case. In fact, WRI believes that when implemented rigorously, it can enhance risk mitigation and long-term performance. But overall, this is not a black-and-white issue. Performance comes in nuance. 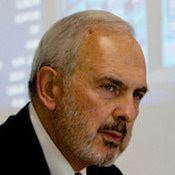 As Starr explains, "There is a tendency to need proof that ESG outperforms or underperforms. But this is not a productive question. It all depends on the competencies of the specific manager, and how they use ESG as a tool to drive insights and value. Much as when evaluating the performance of active management, some managers will beat the market in some years and in others they won't. There's natural volatility. And there is a wide-ranging dispersion of performance for ESG funds, making thoughtful and rigorous selection that much more important." WRI's experience shows that when done thoughtfully, it doesn't have to cost in performance. As Barker reports, "Our results are spot-on with our expectations for performance. We are earning exactly the same return as if we weren't incorporating ESG. Except we are getting it for less risk." Sustainable investing can bring broader benefits to the organization. "What we've learned from this journey," explains Miller, "is that you can integrate investment and financials with the fundamental mission of the entity. Those are not in conflict, but rather a way to bring it into better alignment. That way you can have the endowment not only support the institution, but do so in a way that supports the mission." In agreement, Weiss suggests, "The process of aligning resources with mission and values can yield programmatic insights and initiatives for other nonprofits, as it has for WRI." "As recently as five years ago, the management of NGO and foundation endowments was, in the vast majority of cases, totally insulated from the objectives of those institutions," notes Steer. "Their Finance and Investment Committees believed that their job was simply to ensure healthy risk-adjusted returns, so that the organization would have adequate funds to spend to achieve its mission. For many, this is still true today, although it's changing rapidly. We now realize that allocating investible funds to companies and projects that advance our mission can have significant impact — and give better returns in the process." While we have come a long way in our approach, WRI's sustainable investing journey is far from over. In the year ahead, the F&I Committee has its sights set on several ambitious goals. First is to continuously optimize how the $40 million endowment is invested. "Certain asset classes in the portfolio," explains Weiss, "don't integrate ESG into their investment decisions processes much as we'd like. And the data that we're using to measure and evaluate investments are not as sophisticated or as transparent as they should be." Addressing these issues will require continued effort over the next year and beyond. A second area of focus will be to influence the broader market. Specifically, over the next year, the F&I Committee aims to draw from its own experience to support peer asset owners in their journeys. This effort will take shape through several avenues. It includes telling this very story, sharing best practices, and participating in the broader conversations among institutional investors. It will also involve ramping up our own research to provide new and practical data resources to inform investment decisions. Lastly, we will continue to engage in strategic partnerships with key market players, as well as strengthening our existing partnership with our OCIO to amplify our impact. A third area of focus will be on figuring out how we—in partnership with our OCIO—can better engage the external managers and companies in our portfolio to ensure that our investees understand that as shareholders, we want to see real action in support of a transition to a low-carbon economy. Reaching different milestones over the last few years merits reflection and celebration, but we still have work to do to achieve our goal of sustainably investing not only our endowment, but of empowering others to do so as well. "After all," observes Steer, "investments drive action and sustainability drives value — so we have every reason to move quickly to invest in ways that help solve the world's most pressing environmental and social challenges." The authors would like to thank Steve Barker, Afsaneh Beschloss, David Blood, John Goldstein, John Hahn, Jim Harmon, Elizabeth Lewis, Jeff Miller, Megan Starr, Andrew Steer, and Daniel Weiss for sharing their valuable insights with us; Manish Bapna, Liz Cook, Lawrence MacDonald, Leonardo Martinez-Diaz, and Janet Ranganathan for their guidance and strategic advice; and Billie Kanfer, Wil Thomas, Romain Warnault, and Deborah Zabarenko for their assistance with graphic design, layout, and editing. We also wish to thank the Ford Foundation for providing core funding to the Sustainable Investing Initiative. WRI Commentaries offer long-form views and insights by senior WRI staff on important issues at the nexus of environment, development and human well-being. Commentaries draw on WRI research and other peer-reviewed publications to argue for a specific point of view, supporting it with evidence, to encourage informed discussion and debate. The views are those of the authors.